publisher, who integrates advertisements into its online content, and an advertiser, who provides the advertisements to be displayed on the publisher’s content. Other potential participants include advertising agencies who help generate and place the ad copy, an ad server who technologically delivers the ad and tracks statistics, and advertising affiliates who do independent promotional work for the advertiser. Online advertising is a large business and is growing rapidly. In 2011, Internet advertising revenues in the United States surpassed those of cable television and nearly exceeded those of broadcast television. In 2012, Internet advertising revenues in the United States totaled $36.57 billion, a 15.2% increase over the $31.74 billion in revenues in 2011. Online advertising is widely used across virtually all industry sectors. So you just imaging what the numbers will be like at the end of the year in 2013. 1. Preparation: Success loves preparation. If the perfect opportunity presented itself today, would you be ready? It’s better to be ready and not have an opportunity, then to have an opportunity and not be ready. To succeed, you must be ready when opportunity comes. Spend your time preparing for success, when your opportunity comes, you’ll be glad you did. 3. Remember the Golden Rule: Never forget the golden rule, “Do unto others as you would have them do unto you.” That’s the key to success. Serve your clients as you would have them serve you. Meet their needs as you would have them meet your needs. Give them prices that you would want to pay, exceed their expectations in a way that you would want your expectations to be exceeded. 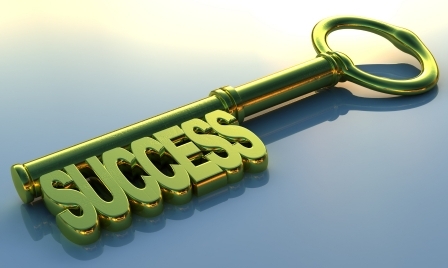 When you follow the golden rule, you open the door to success. 4. Confidence: If you don’t believe in your abilities, don’t be surprised if no one else does either. Your negative thoughts about yourself send a signal throughout the world that others pick up on and respond accordingly. If you’re broadcasting the station “Depression 99.7” then others will treat you like you’re depressed. 5. Lead: To be successful you must be a great leader. There’s probably nothing more difficult than being a great leader. It’s easy to be selfish, it’s easy to only be concerned with your needs, your wants and your desires. But to succeed you have to lead! You have to do what’s best for the people; you must bring the best out of those in whom you lead. taking the time out to read this bog post. Be sure to past this on to others. Ready To Take The Lead And Become Successful? Is Wake Up Now A Scam? Ready To Wake Up Now? rapidly discovering how the membership can play into their everyday lives. almost definite just makes sense. take a look at the proof below as well. program, so I jumped on the opportunity right away!